The Highland Park food pantry is open on the 3rd Saturday of each month. Our close relationship with Destiny City Fellowship Church and our next door neighbor, Boaz and Ruth, allows us to provide the pantry as a registered partner of FeedMore. Residents from Highland Park who have registered with us, and meet the federal poverty standards, are able to come get the food that they need for free from the pantry. As with our other ministries, the food pantry is run solely by volunteers and depends heavily on the food and financial contributions of our partners to sustain it. 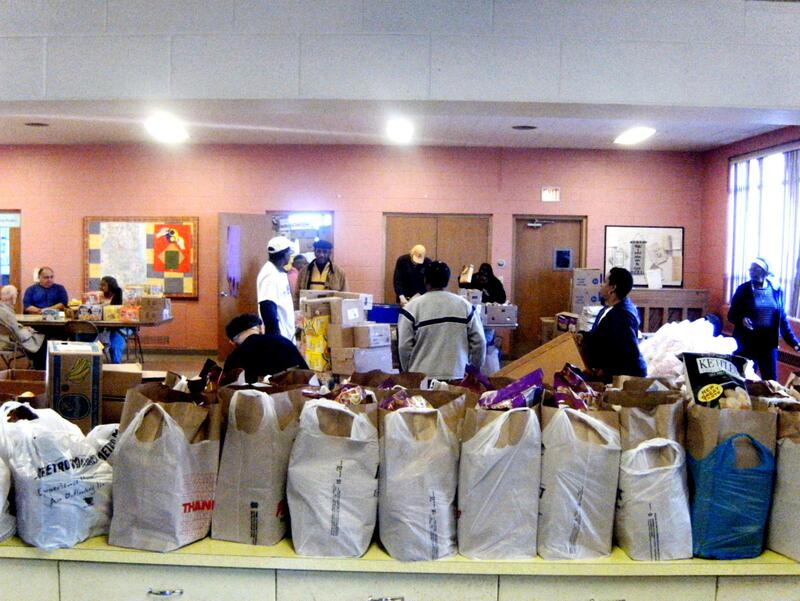 Consider volunteering on a Saturday, or donating non-perishable food items to keep this vital resource fully stocked. For more info, or to apply for services, please call (321-3182) or email us.